COMMERCE – The No. 9 Texas A&M University-Commerce softball team used the long ball to pick up a sweep of No. 20 Arkansas Tech University at the John Cain Family Field on Wednesday evening. The Lions earned a 4-1 win in the first game, then picked up a 9-1 walk-off win in five innings in the nightcap. A&M-Commerce is now 9-1 on the season, while Arkansas Tech falls to 5-5. A&M-Commerce opens Lone Star Conference play this weekend, hosting MSU Texas. The series starts with a 6 p.m. single game Friday, followed by a 1 p.m. doubleheader Saturday. Tickets are available at WeAreLionsTix.com, by calling (903) 468-8756, by visiting the Lion Sales & Service Box Office in the Field House or by purchase at the gate of the John Cain Family Softball Field. – Emily Otto (Richmond – Lamar Consolidated) pitched her fourth complete game of the season, allowing one run on two hits, striking out six with no walks. 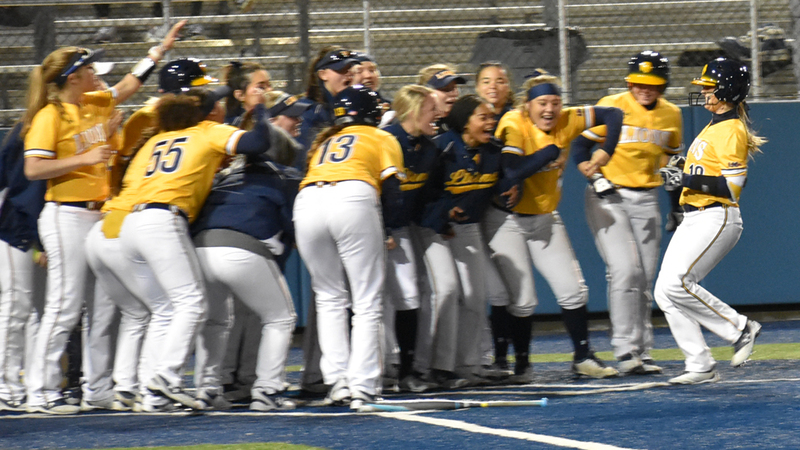 – The Lions collected four hits, with the fourth inning grand slam by Jodie Hill (Heavener, Okla.) proving to be the deciding factor in the contest. – Kayla Kilcrease (Kerens) had a double in the first inning and Kinsie Hebler (Cypress) and Vanessa Muro (Oak Hills, Calif.) each had singles. – The victory was the 150th win in program history. The Lions were the first team to threaten, as Kilcrease hit a double in the first inning, but was stranded in scoring position. The Golden Suns put the first run on the board in the top of the second, when Sydnie Henson brought home a score with a two-out double. The two hits by ATU in the second inning were the Suns’ only hits of the game. Kilcrease was hit by a pitch with one out in the fourth, followed by the Hebler single. Bri Sims (Rowlett) walked to load the bases and set the plate for Hill, who blasted her second career grand slam to the left-center gap and put the Lions up 4-1. The Lion offense wasn’t able to generate any more breathing room, but Otto’s dominance made the lead stand, as the sophomore retired the final 15 Golden Suns who came to the plate after a hit batter to lead off the third. – Hill smashed her second grand slam of the day in the bottom of the fifth to accelerate the Lion victory. It was Hill’s third career grand slam. – Kimber Neal (Humble – Atascocita) and Bri Sims also smoked homers to center field in the game, with Sims’ bomb bringing about a run-rule victory. – Katie Dean (Whitesboro) earned the win in the circle, allowing one run on three hits with four strikeouts and four walks. – Neal had two hits and three RBIs, as the only player with multiple hits in a game during the doubleheader. The Lions took the lead in the first inning when Neal crushed a solo homer to center with one out in the frame. The Golden Suns tied the game in the top of the second on a two-out RBI single by Ashton Sangster. A&M-Commerce regained the lead in the bottom of the third thanks to aggressive base running. Ciera Nunez (Amarillo – Randall) blooped a double down the third base line with two outs, then came home on Neal’s infield single, beating out a throw from the first baseman to put the Lions up 2-1. The home team blitzed ATU in the fifth inning, as the first three batters singled to load the bases. Nunez and Neal drew bases-loaded walks to plate runs, then Hill laced a pitch over the center field fence for her second grand slam of the day, putting the home team within one run of the early win. After a deep fly out, Sims ended the game with her own home run. Furious fourth-quarter rally falls short as Lions fall 65-59 to Tarleton. 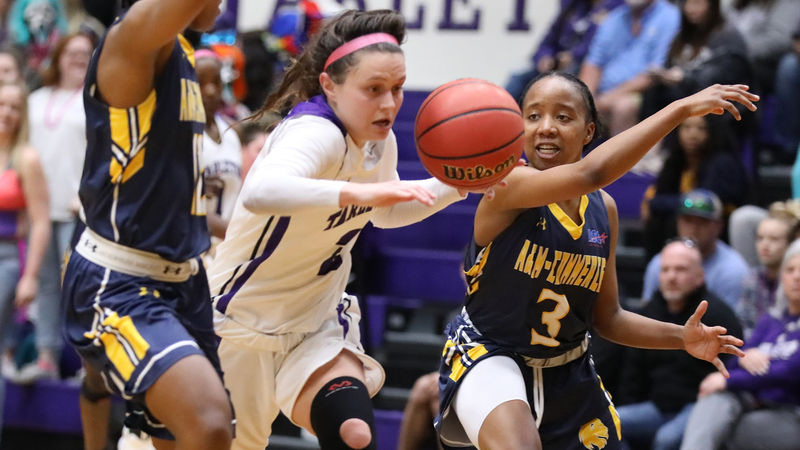 STEPHENVILLE– The Texas A&M University-Commerce women’s basketball team lost 65-59 to Tarleton State on Tuesday. After falling behind by 19 entering the fourth, the Lions cut the TexAnn lead to just four points but could not close the gap. The loss brings the Lions to 15-8 and 10-5 in the Lone Star Conference. TSU improves to 17-6 and 10-5 in conference play. The Lions return to action on Thursday with a road game against Texas Women’s. The game will be played at 7:00 p.m. at Kitty Magee Arena in Denton. – After trailing by 19 entering the fourth, the Lions scored 30 points in the fourth quarter. The Lions scored more in the fourth quarter than the first three combined. – Princess Davis (Shreveport, La.) led the Lions with 16 points and also led the team with eight rebounds and five assists. – Alexis Bryant (Pflugerville) had 12 points, including six from the foul line. Alexus Jones (Lewisville – Aledo) also scored in double figures with 10. – The Lions had 28 turnovers in the game, 23 of which came in the second and third quarters. Tarleton also struggled with ball security, turning it over 26 times. The Lions started the game on a hot streak, making three of their first four shots. TSU held serve, establishing shots of their own. The teams traded buckets as midway through the first quarter, Tarleton held a 10-9 lead. The Lions battled back and finished the quarter on an 8-4 run to take a 17-14 lead into the second quarter. A lid was placed on the bucket for the Lions in the second quarter as they struggled from the field. After scoring four early points to take a five-point lead, Tarleton went on a 12-0 run over six minutes to take a 28-21 lead. Turnovers plagued both teams, but hurt the Lions more as they had 15 turnovers in the period. The Lions went into halftime trailing 29-24. Jones led the Lions with seven points in the first half. Davis added six points and added four rebounds. The Lions committed 18 turnovers in the first half, 15 of which came in the second quarter. TSU had 12 first-half turnovers but scored 15 points off of Lion turnovers. The Lion shooting woes followed them into the third quarter as the team shot just 1-for-11 in the frame. The Lions also had eight more turnovers in the quarter. The TexAnns took advantage, scoring the first 10 points of the period. The Lions had just one field goal in the quarter while TSU had nine baskets. The Lions went into the fourth quarter trailing by 19. The Lions began to battle back in the fourth. The bucket seemed to get back to standard size as the Lions started the period on a 10-0 run to cut the lead to single digits. For the next several minutes, the teams traded baskets as the Lions trailed by 10 midway through the quarter. Both sides went without points over two minutes before the Lions scored five more in a row to cut the TexAnn lead to just five points with two minutes remaining. The Lions cut the lead to as few as four, but it was just not meant to be for A&M-Commerce. Late threes would not fall, and TSU made enough free throws to come away with the six-point win. 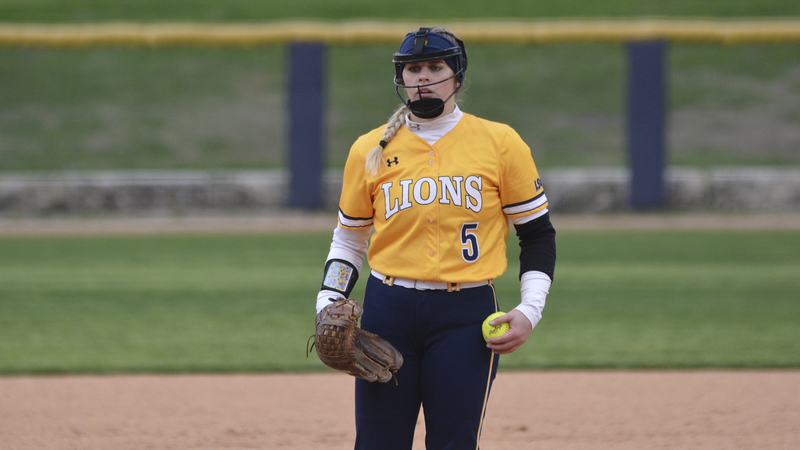 RICHARDSON–Texas A&M University-Commerce softball player Emily Otto has been named the Lone Star Conference Pitcher of the Week. The player of the week awards was announced by the conference office on Wednesday. Otto – a sophomore from Richmond (Lamar Consolidated)– was spectacular once again in her lone start last week. She went the full seven innings against St. Mary’s and held the Rattlers to just two hits and a paltry .095 batting average in the shutout. She struck out four batters in her third complete game of the season. Otto and the No. 9 Lions begin their home season this week. They host No. 20 Arkansas Tech today at 3 and 5 p.m. The Lions then begin their LSC schedule starting Friday with a home series against MSU Texas. The Lions will play a single game on Friday at 6 p.m. and a doubleheader beginning at 1:00 p.m. on Saturday. Season tickets for Lion Softball home games are available for $70 with a total of 23 games spanning 14 different dates. Tickets can be purchased by visiting WeAreLionsTix.com, calling Lion Sales & Service at (903) 468-8756, or visiting the LSS Box Office in the Field House during business hours. Single game tickets are also available to be purchased.